BWC is proud to announce our official support of Destiny 2 as a game company under Battle Division! Kilmark, a two-year veteran of our ArmA III regiment, will be our new Destiny 2 OIC and tasked with BWC's mission in protecting the Last City and its inhabitants. 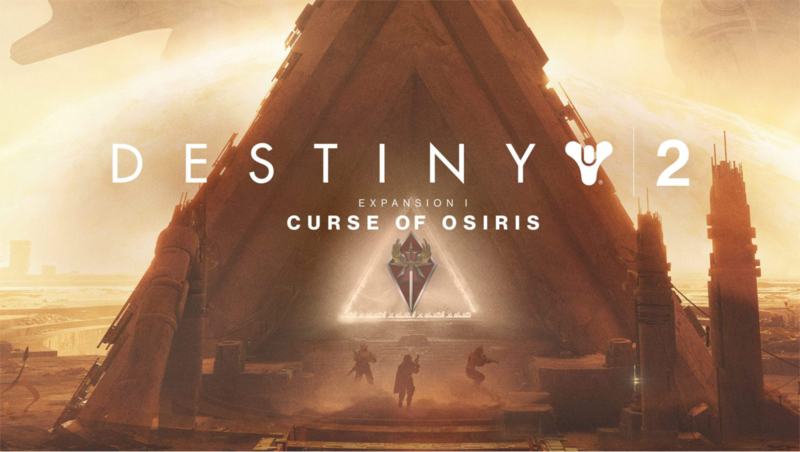 Join us starting December 5th for an EpicOp to celebrate our Destiny 2 game company and the release of the first of two new expansions, Curse of Osiris! Kilmark will also be doing a GAME GIVEAWAY during the EpicOp, so now's your chance to get the game for free! For details, check the link HERE. Destiny 2 Expansion I: Curse of Osiris releases on December 5th and continues your Guardian’s journey with all-new story missions and adventures set in a new destination, Mercury. Journey through time and space to learn the secrets of Osiris, avert a dark future, and rebuild the ties between the legendary Warlock and his greatest student, Warlock Vanguard Ikora Rey. Ikora Rey learns that the malevolent machines have opened a gate on the small planet during the Red War, and are gathering a massive, trans-temporal army. 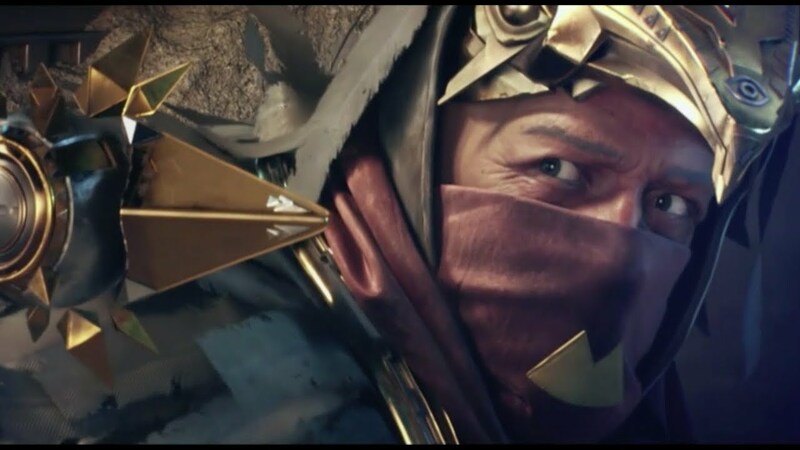 You go to investigate, and to judge by the opening cinematic (see below), you'll discover Osiris's Ghost, Sagira. Sagira is voiced by Firefly alumna Morena Baccarin, and will be your guide through much of the new story. Brother Vance, the Cult of Osiris's ambassador in the original Destiny, will also return as the world overseer for Mercury. The experience level cap is being raised to 25 - presumably to accommodate the new story missions - while gear-based power levels will be raised to 330. Mods can then push you further to an absolute max of 335. After featuring only in Crucible maps, Mercury is finally being added as a full location. The Lighthouse, a hideout that appeared in the original game as a reward for conquerors of its Trials PvP mode, will return - it's like the Church in the EDZ in that it's not a fully-fledged social space, but an island of calm amidst the chaos of the planet outside. Brother Vance will hang out here, where the Trials chest used to be, and will have his own reputation and engram system. The Lighthouse's immediate surroundings are a playable space called the Plains of Glass. Here you'll find a new type of public event and a bunch of Cabal who fled the Almighty, but there's also a unique area called the Infinite Forest, built by the Vex in the hollowed-out core of Mercury. It is a simulated reality that the Vex use to observe all of time, and will randomly reconfigure itself each time you explore it. You'll access it via a teleportation gate, and some of its trees will contain gates of their own that lead to past, present, or future versions of Mercury. According to the Destiny grimoire, Mercury was once a garden world. Presumably, like all the inner planets, the Traveler's powers enabled humanity to terraform and inhabit it during the Golden Age. It seems you'll get a glimpse of Mercury at this idyllic time by traveling to its past. During the Collapse, the Vex undid this work within days, transforming it into one of their machine worlds - in the future, the Sun has died, and there is no life on Mercury but the Vex. Curse of Osiris will include a new mini-campaign that's roughly two to three hours in length, according to IGN. There will also be a new World Quest, new missions, new strikes, new adventures, new Crucible maps, new free roam activities, and a new "raid lair" - that is, a new section to the existing Leviathan raid named Eater of Worlds. Eater of Worlds will be just as challenging as the original Leviathan raid, but will take less time to complete. It will go live "a short time" after Curse of Osiris launches on December 5, with its own Prestige mode following after that. A second raid lair will be added to Leviathan in the Rasputin DLC. In other activities news, it's worth noting that Destiny 2 will reintroduce the Heroic strikes playlist from the original game - a new strike difficulty level with better loot. For a more detailed list of the upcoming changes, click HERE. Destiny 2 will be a fully supported game company and offers all BWC members a great opportunity for quality gaming, team building and event participation. Featuring tactical variety, fun and engaging gameplay mixed with competitive elements, D2 espouses the “One Team, One Fight” ethos that BWC centers itself upon perfectly. Compiled by John De, PAO Editor. Have some fun facts from the Mech_Con Survey! 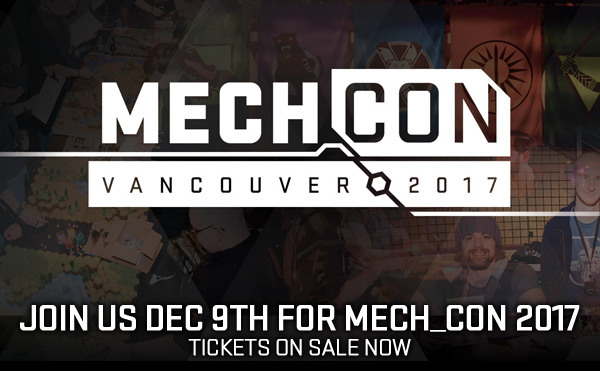 763 people plan to attend Mech_Con 2017! Everyone's favorite element of Mech_Con 2016? #1 - MechWarrior Online World Championships Finals! #3 - Meeting fellow MechWarrior and BattleTech fans as well as the Devs! Where are People Traveling from? Asia, South America, and Africa! Mech_Con is truly a Global Event! Those who can't attend can watch and engage on Twitch! More Engagement, More Fun, More Fans, More Hype, More Everything!